Sophia's List – All about books! In this book we meet Gracie Lockwood, who lives in a world that is not so ordinary. There are dragons, sasquatches, mermaids, and Dark Clouds who come for people when they die. Everything is typical in her life until a Dark Cloud comes for her little brother, Sam. She and her family then set out on an adventurous journey to the Extraordinary World, a safe place where there are no Dark Clouds. 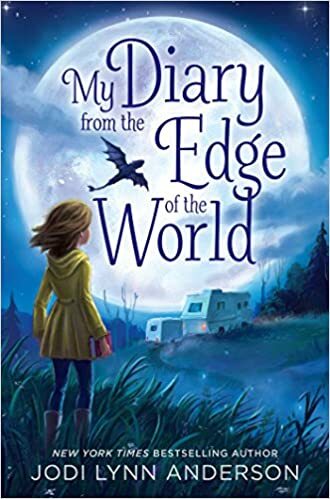 Throughout their journey, Gracie and her family have to learn to trust each other more than ever before and accept that the world has more possibilities then they’ve ever imagined. Will they succeed? The author used a diary format, which allowed me to get into the story and learn what happened each day. I also enjoyed the detailed descriptions that allowed me to live the Lockwood’s adventures. In this book we meet Gerta, an 8 year old girl in East Berlin. A couple of days before, her father and younger brother left to explore opportunities in West Berlin. Unfortunately, while they are gone the Berlin Wall goes up, separating them. She, along with her mother and older brother are on the side that is controlled by the Soviets while her father and younger brother are on the side that is free. A couple of months later the existing guarded fence becomes a 7 foot high concrete wall with watchtowers and guards with vicious dogs. 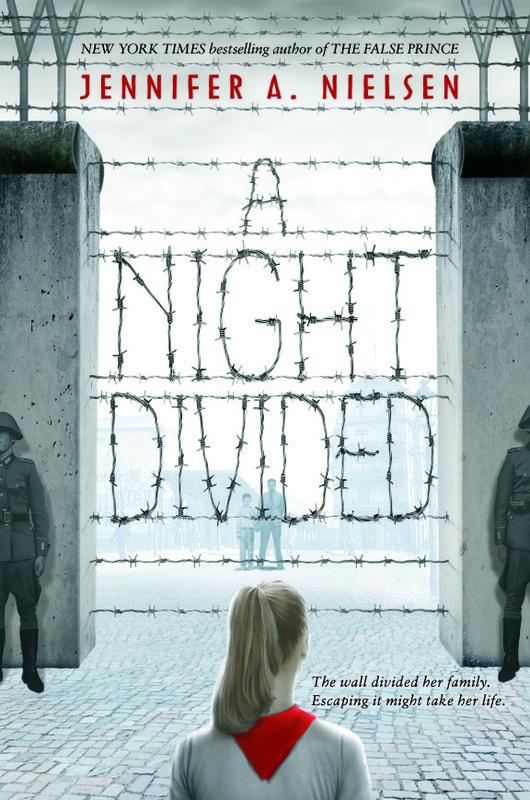 There is no way for Gerta and her remaining family to escape to West Berlin. Four years later, she still feels hopeless, until she sees her father pantomiming a dance on a platform on the other side. With that dance in mind, she forms a plan to escape with her remaining family. Will she succeed? I liked this book because of the well thought out storyline and the suspenseful chapters. I enjoyed how the author described Gerta’s feelings. I felt that I was her in some parts of the book and gained insight into a horrifying time in history. The brilliant scientist Jan Benes discovered how to shrink a man for an infinite period of time. While he gets transported from communist Russia where he worked, to America, he is attacked en route. To save Benes, a group of scientists is put together to be miniaturized and injected into his bloodstream. While on the journey to the blood clot in Benes’ brain, the group encounters all sorts of adventures. White blood cells, brownian motion, and much more. At the end, they race against the clock to reach the blood clot and successfully remove it before their 60 minutes is up. Will they succeed? 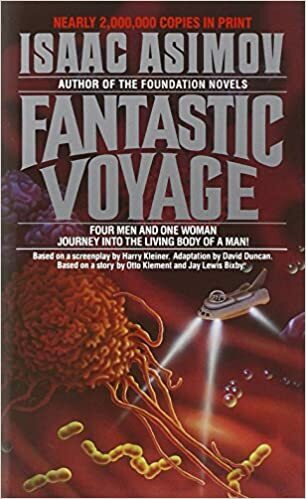 This book blew my mind because of the advanced science involved and the cliffhangers at the end of each chapter. Although this book was written in 1966, the content is still relevant in our world today. I would highly recommend this book to anyone! 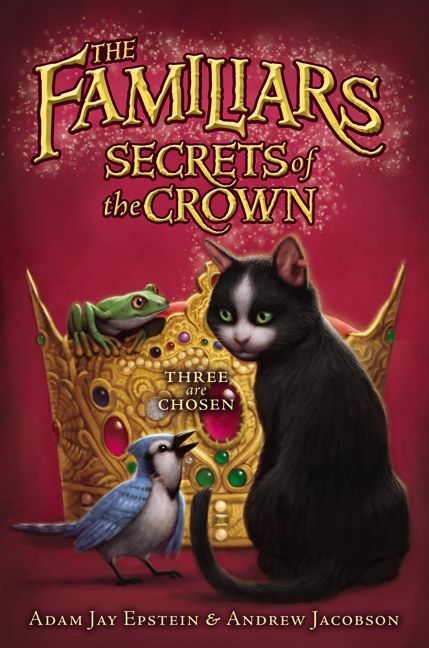 In this book we meet Familiars Aldywn, Skylar, and Gilbert. Aldywn is a telekinetic cat; Skylar is a blue jay who can cast illusions; and Gilbert is a tree frog who sees visions in puddles. When the evil rabbit Paksahara casts a spell which removes all the magical power of the wizards, the trio set out to save their homeland of Vastia. Together, the Familiars find the legendary Snow Leopard’s Crown, which is their last chance to defeat Paksahara before she unleashes an army of the dead upon all of Vastia. I really enjoyed the unique character personalities in this book. The magic adventures were very engaging, allowing me to place myself in the story and be constantly thinking about what they should do next. This is the second book in a four book series. In this book we meet friends Logan, Philip, Miles, and Daisy. After winning the nationwide New Candy Contest, they watch as their Harmonicandy rolls down the production belt at the Life is Sweet factory. Everything seems fine until Logan and the others taste the first batch and, to their surprise, it tastes different than the original. With the new candy at stake, the quartet sets out on a publicity tour. While on the road, they research all about chocolate and consider the possibility that the original cacao beans came from outer space. The friends eventually track down a certain group of people that had a hand in the discovery of these special cacao beans, what will they uncover? 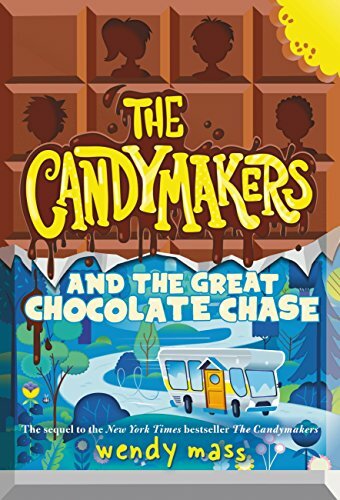 I enjoyed this book because of the candy factory setting and the suspenseful plot. I could relate to the characters and their adventures, which allowed me to place myself in the story. I loved the author’s technique of writing from each of the four friends’ perspectives. This is the 2nd book in a 2 book series. I recommend reading the series in order. This book is made up of two stories. One is about Salva, a Sudanese “Lost Boy” whose story is set in 1985. When Salva’s village Loun-Ariik gets attacked by rebels, he is ordered to hide. He then finds thousands of other boys in the same predicament: no family, food, or water. He walks with these boys to a refugee camp, but eventually gets kicked out. He then has to go to another refugee camp, and another, then another. Finally, Salva gets sent to America, what will he find? The other story is about Nya, set in 2008. She walks 8 hours everyday to fetch water for her family. 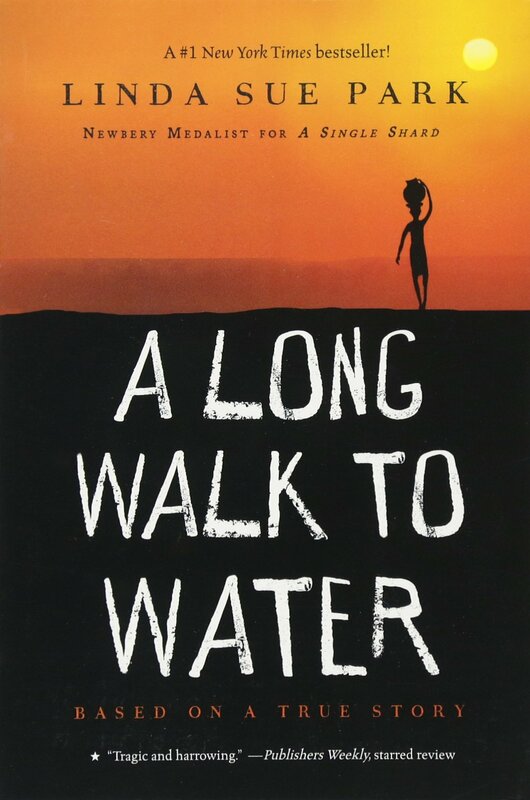 When Nya’s sister falls sick because of the dirty water, her family makes the strenuous 3 day walk to a medical clinic. They arrive just in time and Akeer is saved. When the family gets back to their village, they find that a well is being built. It will change Nya’s life forever. It is enlightening to see the characters grow and change after a tragic event. I also liked the fact that there were two related but distinct stories in the book. I really enjoy the author’s descriptive style because she let me really get to know the characters’ strengths and weaknesses. In this book we meet teenagers Ben, Charlie, and Michael. In the first chapter, Michael is being told a great but dangerous secret by Queen Elizabeth. Then we fast forward to current day, for Charlie and Ben’s story. Ben’s parents left him 2 years ago, so now he doesn’t have a home. He lives with his step-grandma on the weekends, but on weekdays he secretly sleeps in his friends’ houses. 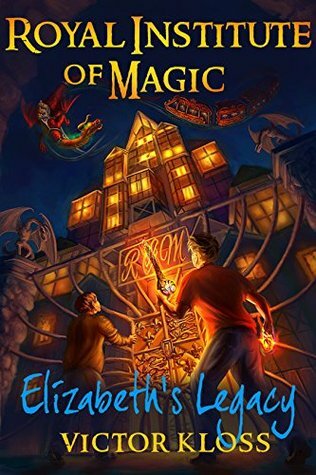 When Ben and Charlie discover a letter in the ruins of Ben’s old ruined home, they uncover the Unseen Kingdoms and the Royal Institute of Magic. Ben and Charlie decide to explore this unknown world through the Dragonway, what will they find? I like this book because it is set in a world of magic, and the first chapter is set in the 17th Century. This is the 1st book in a six book series.